We are experienced in designing and developing responsive websites for all devices. 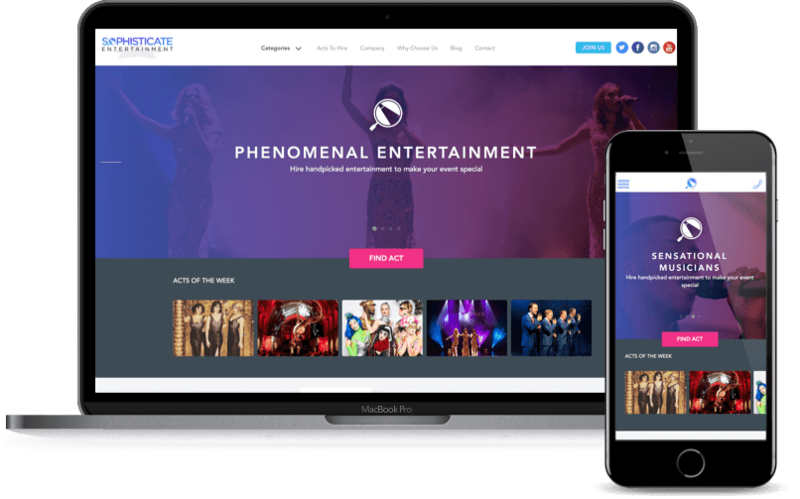 We have vast commercial experience designing and building responsive websites for mobile, tablet and desktop browsers, meaning your website works in perfect harmony on all different platforms and devices. In today's world, digital sits at the forefront of marketing, branding and transactional processes. A website is your shop window and we understand the importance of making the right impression, gaining the correct engagement and containing and building stronger client and customer relationships. If you are interested in web design and web development to kick-start your company, grow your business or sell products and services, Colour On Code are a full-stack digital design agency helping you create innovative digital solutions that are market leading and essential for creating commercial success. The success we achieve with our clients comes from our understanding of your business, goals and strategy to deliver a purpose driven website for attracting and engaging with new customers. Websites must meet the needs of different customers engaging with websites in numerous ways. We get to understand your business objectives and the purpose of your website so that we can build a design that will best serve your clients and customers to deliver better conversion results. An ongoing digital marketing package will lead in growing your website and your brand. Our packages are specifically designed around your objectives to continue the ongoing success of your website. Colour On Code will support your website with ongoing improvements such as banner images and new pages, online marketing service such as email marketing, Google Adwords, social media and pay per click advice. With 1.2 billion mobile web users, the landscape of how we engage with websites has changed. Our approach is to design mobile first websites to improve your customers user experience and boost your site ranking from Google. Increase your customer reach, drive sales and streamline transactions. E-commerce websites have become the powerhouse for selling products worldwide and growing your business. By getting to know your business and your clients, our search engine optimisation service will achieve increased presence and traffic to your website by delivering information that people really want from their search terms, the device they use and the location they are searching from.